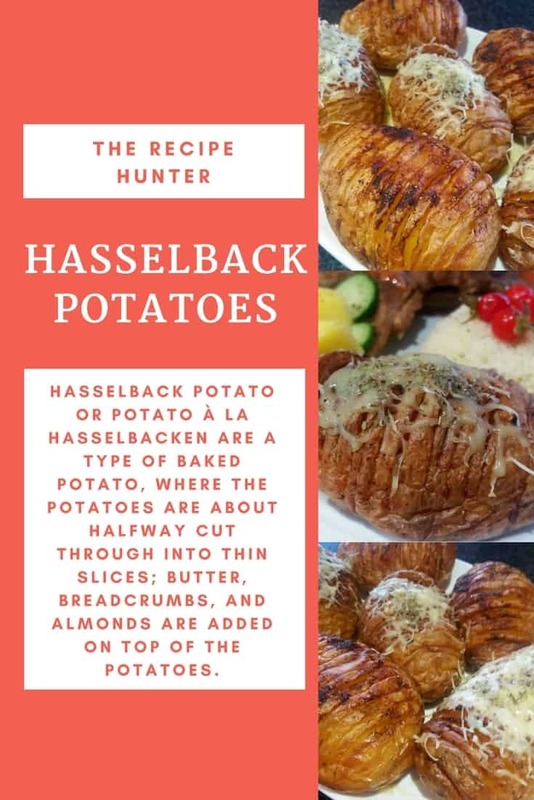 Traditional Hasselback Potato or Potato à la Hasselbacken is a type of baked potato, where the potatoes are about halfway cut through into thin slices; butter, breadcrumbs, and almonds are added on top of the potatoes. Wash the potatoes then carefully make small vertical slits, 2mm apart, three-quarters of the way down each potato, all the way along. Put the potatoes in a roasting tray. Mix together the butter and oil and brush over each potato.